Buying your first home is one of the most exciting milestones in your life. And with there being a 7% increase in first-time homebuyers between 2016 and 2017, amounting to 2.07 million homes, more people are buying first homes than ever. But while it’s important to think about the home itself, it’s also important to think about the area you’d be living in when looking into new houses for sale. So to help make sure you choose the right neighborhood, let’s discuss a few factors to consider when looking at potential neighborhoods. A good school district: Even if you don’t currently have kids, moving somewhere with a good school district can be a major benefit. When a home is in a good school district, it tends to have a better resale value, which is an important factor to keep in mind. Furthermore, good school districts tend to keep the home market more stable, even if it’s going down elsewhere. All in all, school districts play a key role in the housing market and the affordability of homes. A safe environment: If you drive to a neighborhood and there aren’t people outside and everyone has their shades tightly closed, you may want to look elsewhere. 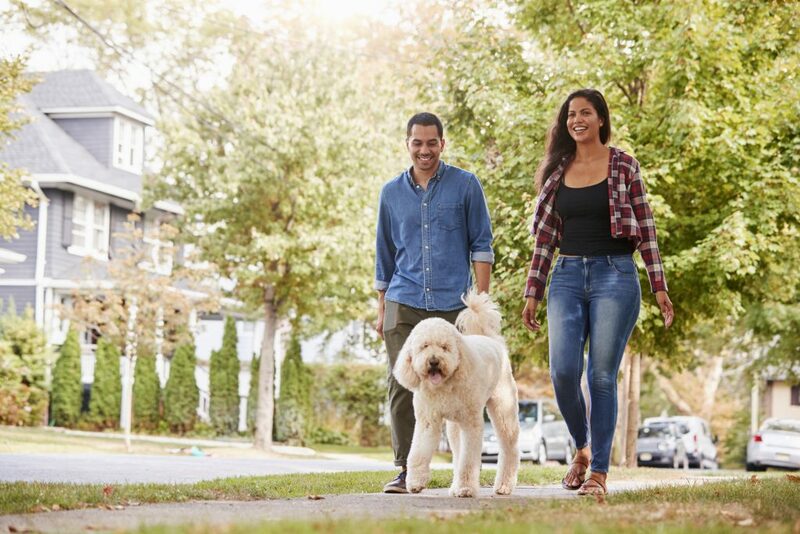 You should look for a neighborhood that allows you to walk to places nearby or even just throughout the neighborhood itself. If there are amenities nearby, you’ll want to ensure you can get to them without feeling unsafe or uncomfortable. It’s important to trust your gut and look for new houses for sale in neighborhoods that make you feel welcome. Nearby amenities: Especially for your first home, you want to have easy access to local amenities. You should have quick access to things like a grocery store, restaurants, and entertainment like malls or movie theaters. Moving into an area that has amenities you’re interested in will help you better adjust to your new environment. Furthermore, it’s also important to think about your commute you places you go to frequently, like work or the gym. Overall, it’s important to look for a neighborhood that seems welcoming and attractive to you. Keeping these factors in mind and trusting your gut instincts will help you find the right neighborhood in no time.